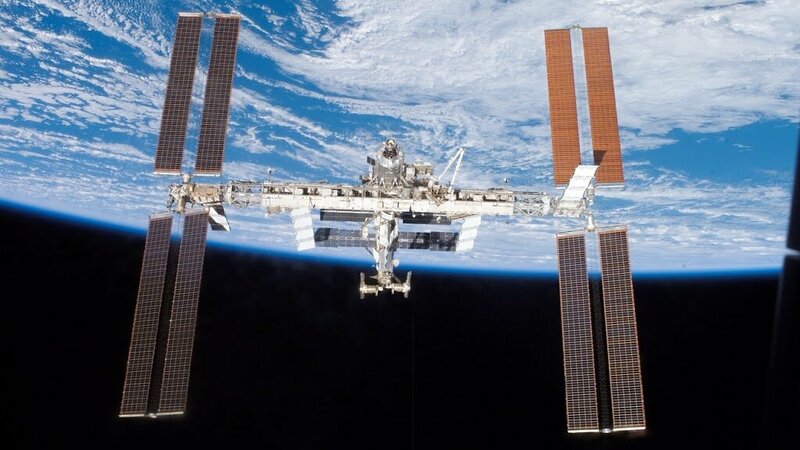 To date, the International Space Station (ISS) is of paramount importance to modern science, but the communication between it and the Earth still needs some improvements. On Thursday, June 5, 2014 the U.S. space agency NASA laser transferred to the ISS on the ground high-definition video. 175 megabit video titled “Hello, World!” (“Hello, world!”) Was transferred to the device using the Optical Payload for Lasercomm Science (OPALS), which was delivered to the ISS in the spring of this year by private spacecraft SpaceX Dragon. U.S. National Aerospace Agency’s (NASA) laser data transmission system OPALS (Optical Payload for Lasercomm Science) sent several times a test video «Hello, World!» Size of one hundred seventy five megabytes of high-resolution, from Earth. OPALS used a focused laser energy, in which the data transfer rate up from ten to one hundred times the level that use radio communications. It should be noted that the space station orbits the Earth at a speed of Twenty-eight thousand kilometers per hour. To transfer data at a high rate of accuracy. The data transfer process lasted 148 seconds, during which the earth was sent several copies of the video. Transfer rate reached 50 megabits a second. Transmission time of one copy of the message took about 3.5 seconds, while the usual way it would take 10 minutes. Optical communication tools, such as OPALS, using a focused laser energy to achieve data rates of 10 to 1,000 times higher than the current space communications devices that use radio waves. Early success of this experiment is an important step in improving the quality of communication with the spacecraft. OPALS device will allow to keep up with the times and meet the growing needs of collecting data from scientific instruments and will eventually replace the currently used radio communication system, still based on 1960s radio technology which has all the bandwidth of a soda straw. According to experts of NASA, this type of communication with the higher frequency range than radio waves, in the future, will be used to transfer data between the spacecraft.